Jitters can form heading into a first date after a divorce. Many are forced to relearn dating, since it has been so long since they had last done it. Children can add another layer to one's hesitation to dating after a divorce. "First of all, it is all going to be okay. First dates occur every day." After the dust settles and you feel well enough for dating, it can be a refreshing exercise intended in reestablishing the social bridges to others that divorce can often damage. Making sure you are fully over your ex-spouse is key to keeping this a fun and light activity with someone new. Whether you use an app, a website, or engage in a random run-in with an attractive individual, it’s important to monitor your readiness for the world of dating. It is an important step in this process, because you don’t want to enter a relationship for the wrong reasons. You want to be ready to like and accept a new person in your life because of what they have to offer, not because of your ex-spouse. That way, when that first date occurs, you know you are ready. If you have ever gone on a date, you know the first one can include a bag of varied emotions. You are nervous and begin to overthink how you are dressed, how your hair is done, how you look, how you talk, how you walk, how you eat, what you like to talk about, what your hobbies are, what your job is, and any other possible concept that you can come up with. And those don’t even include being a divorcée. First of all, it is all going to be okay. First dates occur every day. 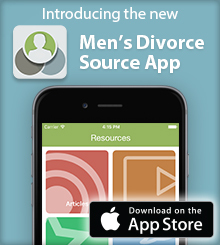 For men getting back into the dating scene after a divorce, it may seem like an endless challenge to get in the right emotional headspace for this new adventure. However, it is important to remember that you were in a relationship that did not work. Whether you or your ex-spouse initiated the divorce process, it occurred, and the dysfunction and unhappiness in the relationship were forced to be acknowledged. This occurrence can be a wake-up call to many looking for a better functioning relationship in their lives. This all starts with a first date. When starting to date again, many find it difficult, because they do not necessarily remember how to do it. In the interest of inspiring the desire for a second date, it’s vital to not bring up your romantic past. Even if you are not 100 percent over your ex-spouse, bringing them up or bringing up your divorce in conversation will create a weird tension in the room. Those that still are on amicable terms with their ex-spouses especially need to avoid mentioning them. When a date hears that you stay in touch with your ex-spouse on your first date, it can send them speculating about how broken up you two actually are, according to Match. Making sure the discussion is less about you and your past can be beneficial on a first date. According to Match, it is important to focus less on yourself in the discussion and more on the person you are talking to. Let them ask you questions and create organic and genuine interest in their own curiosity. Also, go into the date with a bit of a game plan. When you are asking someone out, make sure you are specific enough far enough ahead that she or he is able to confirm that they actually are free that particular day and that particular time. It lets them know that you feel that their time is valued and appreciated. In terms of appreciated, dates have a love/hate relationship with paying for going out. On one hand, they appreciate the gesture, enjoyed their meal, and enjoyed your company. On the other hand, many feel that regardless of one’s gender, they should have the opportunity to pay the bill as you. It’s important to at least, offer to pay the bill, however. According to Time Magazine’s Money and their survey with Survey Monkey, 72 percent of women said that men should pay on the first date. Men were in agreement, with 85 percent saying that they should be the ones to pay the bill. Additionally, the survey asked how much the first date should cost and 43 percent of men said that it should cost between $50 and $99. 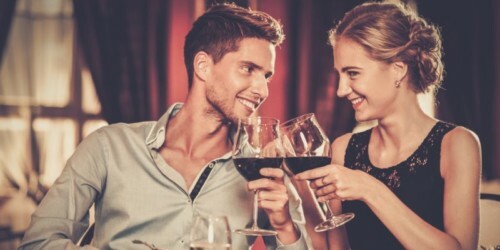 For women, 47 percent of them believed that the first date should cost between $25 and $49. Classic etiquette, like holding a door open or waiting for her to get her food before you eat, are always appreciated. Creating a charming atmosphere is a simple way to get someone’s intrigue and help rebuild your social confidence that may have been damaged during the divorce experience. For those that may not be feeling the situation or connecting with their date, there also is very little pressure to turn this experience into a long term relationship. After a divorce, there is very little pressure to meet someone new and settle down, due to the fact that you have so many other aspects in your life to readjust to, especially if you have children. Many divorced parents struggle with dating again. They feel that their children need to be ready for them to be dating again, and if the parent starts dating before the children are ready for them to start dating again, then they are considered to be a bad parent. While your children may need some time to adjust to the notion that their parents will no longer be together and they may find themselves with other partners, the adjustment period will not last forever. With your help, you can slowly ease dating into their atmosphere, and while they may not be thrilled right away, they ultimately will realize that they want you to be happy. Like with a variety of things in life, first dates and dating in general are experiences that will take time to relearn after a divorce, but with practice and patience, you can get back out there and pursue happiness once again.